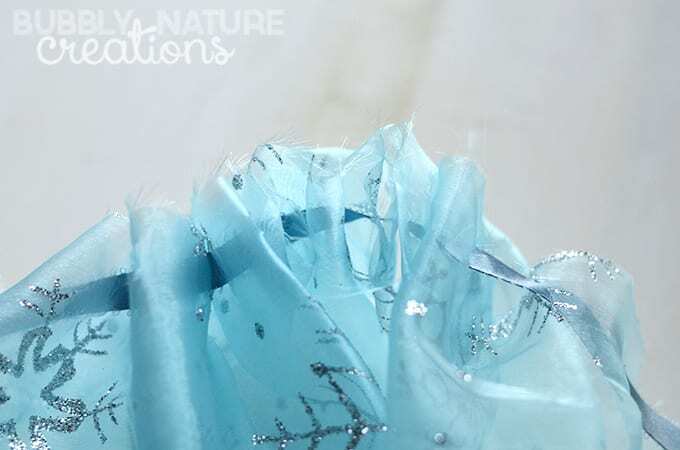 DIY Disney FROZEN Elsa No-Sew Cape with train! 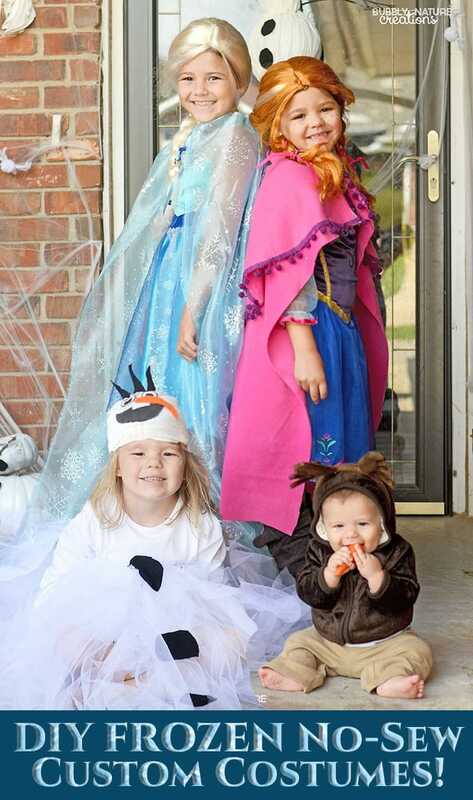 Okay I have to admit something… I think I’ve become just as obsessed with the whole FROZEN thing as my kids. My daughter, who is nine, was complaining that her skirt was too short and the arms were too itchy (common problems with cheaper costumes) and so I decided that I needed to spruce it up a bit before Halloween. 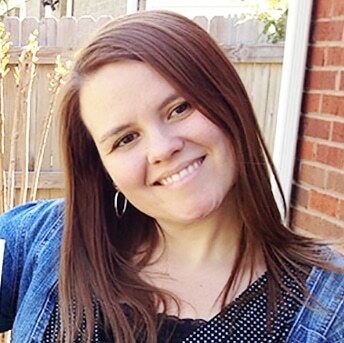 I didn’t want to sew anything so I thought of a way to DIY the NO-sew way! I think it turned out super-cute and we both love how it turned out. To make your own you will need about 2 yards of fabric (or less for a small child) and matching ribbon. We picked an organza material with glittery snowflakes on it from Walmart! You will need to measure the length you want the cape to hang and just cut it off. There will be some fraying so I would use fray stop at the edges. At the top of the cape cut 1/2 inch slits about 1 1/2 inches apart and thread the ribbon through them. Wrap the top of the cape around the neck of your “Elsa” and tie at the front. So fun and fashionable! You can cut the cape to the desired length you want too! It’s sure to be a hit this Halloween! 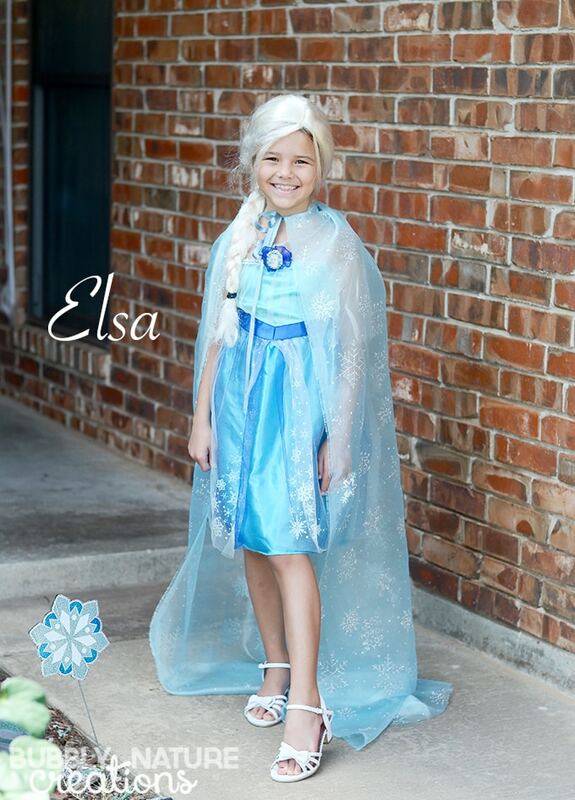 Find more FROZEN Halloween Costumes here! 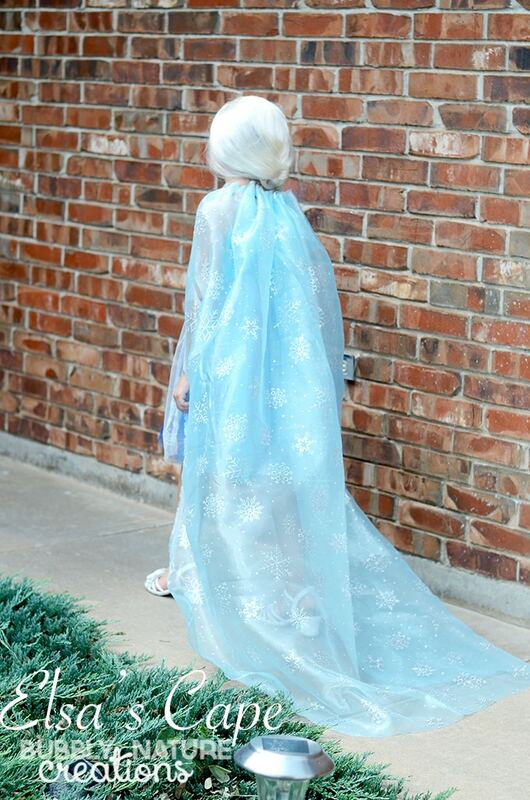 Previous Post: « DIY Disney FROZEN Anna No-Sew Cape!